A wonderful review of “Snobbity Snowman” from Darque Dreamer Reads! 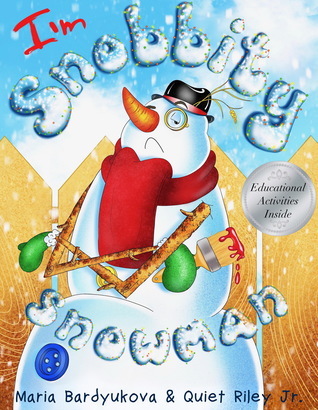 Snobbity Snowman is a jolly good time for young readers and story time lovers. It has beautiful illustrations and a great moral. Your little one will love it! I really enjoyed reading this. It was super adorable. My cousin Maddie also enjoyed having it read to her by my Aunt. She had a big smile at the end of the story and sat quietly throughout the whole book(seen in the story time video below).